Android Nougat remains the most popular version of the mobile operating system, purely by user numbers. Although the latest version of Android, version 9 Pie, has been out for Google Pixel devices for nearly two months now, it’s widespread adoption remains slow. As such, even in the latest Android distribution numbers for the week ended September 28 aren’t registering Android 9 Pie, due to its total user base being under 0.1 percent of the total Android user base. While this isn’t necessarily a bad thing, it continues to show that Android’s fragmented nature and dependence of manufacturers rolling out software support keeps adoption of the latest version low and slow. According to the distribution numbers, Android Nougat remains the most popular version of Android by user numbers, accounting for 29.3 percent of the total users (spread over Android 7.0 and 7.1). Meanwhile, Android Marshmallow comes in second place at 21.6 percent, with last year’s Android Oreo (19.2 percent) in third and quickly gaining ground. 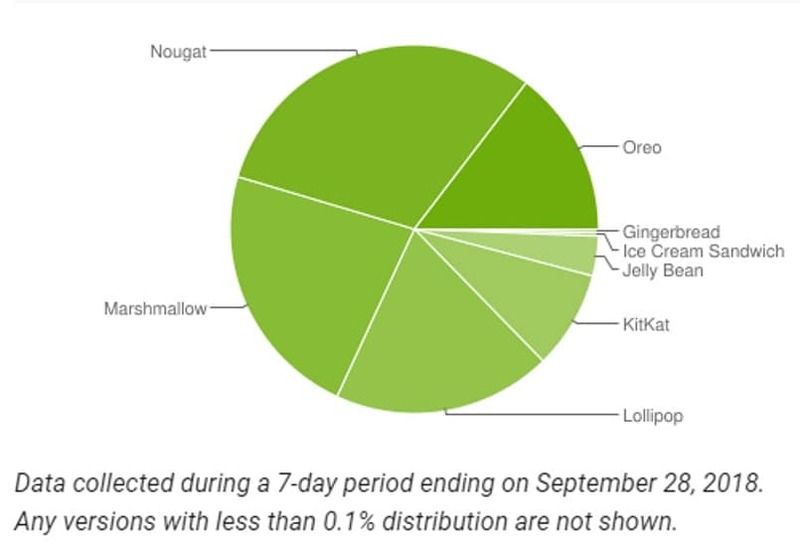 And while Android 9 Pie is slowly reaching more users, it’s total user base is yet to hit the 0.1 percent mark where it appears in the chart. Interestingly, Android Gingerbread, which was released nearly eight years ago in 2010, continues to register on the charts with 0.3 percent of all Android users still on the system. This would indicate that smartphones that are well over five years old are still functioning in the hands of users. 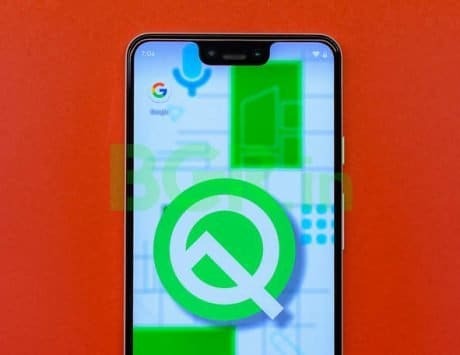 Android 9 Pie has seen slow adoption with only a handful of smartphone manufacturers having announced or implemented a roll-out of the latest version on their devices. 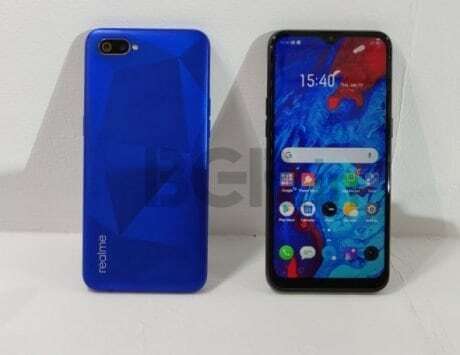 Apart from the Pixel range, OnePlus has already rolled out Android 9 Pie in both open beta and stable versions for the OnePlus 6, while Nokia has also done the same for the Nokia 7 Plus. While high-end devices could launch with the new OS out of the box in the coming months, for the time being getting Android Oreo onto more phones seems to be a more realistic target for Google. Android 9 gaining serious numbers could still be several months away, although it could finally start registering on the chart in the next couple of months.